In 1912, Robert J. Renison received a call to serve as Rector of the Church of the Ascension in Hamilton Ontario, where he served until 1927, with a break between 1918 and 1919 when he served as Anglican Chaplain for the 21st Battalion Expeditionary Forces in World War I in France. He became very fond of Hamilton. It was home to his first “city” parish since his sojourn in San Francisco so long ago. He met and married his wife Elizabeth Bristol in Hamilton and his two sons were born in Hamilton, Robert John Bristol Renison in 1916 and George Everett Bristol Renison in 1918. Significantly, he chose Hamilton as the site of his installation as Metropolitan 25 years after he had left the city. This is a wedding announcement for the wedding of The Rev. 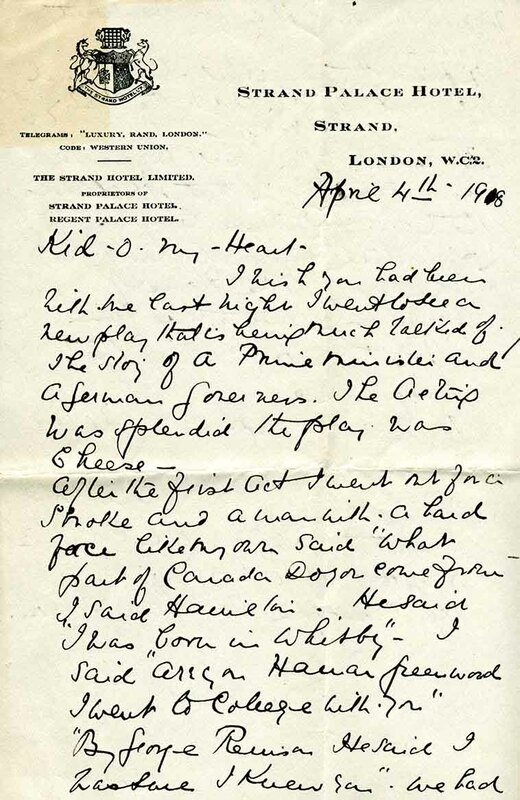 Robert J. Renison to Elizabeth Bristol at All Saints’ Anglican Church in Hamilton, Ontario on January 3rd, 1914. The newspaper is not noted. This is a handwritten letter from The Rev. Robert John Renison to his wife, Elizabeth, when he was serving as Anglican chaplain to the 21st Battalion Expeditionary Forces in World War I in France. 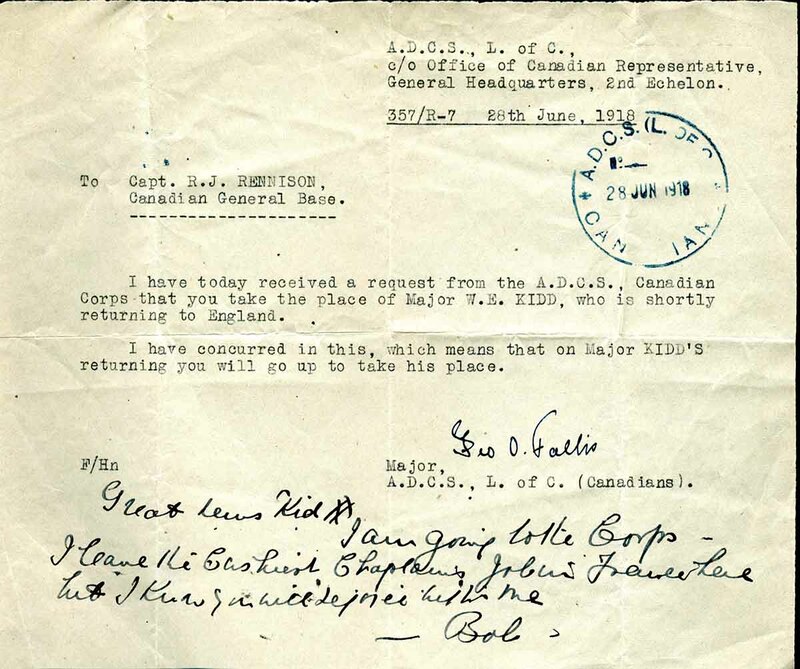 A telegram dated 28th of June 1918, to Renison requesting that Captain R.J. “Rennison” leave for the front in France during World War I, with a handwritten note added to Elizabeth. Wedding Announcement: Rev. Robert John Renison and Miss Elizabeth Bristol.